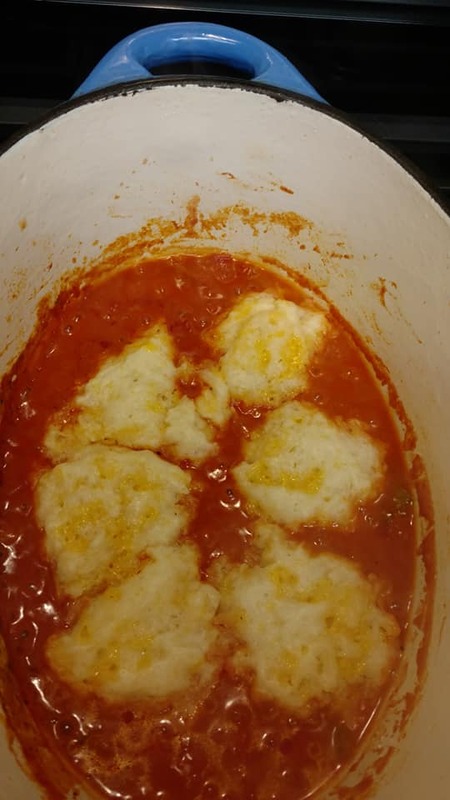 Old fashioned cheddar tomato dumplings. Saute 2 tablespoons finely chopped onion, 1 tablespoon finely chopped green pepper in 2 tablespoons of oil in large pot until tender. Stir in 2 tablespoons of flour and stir well. Cook a bit, about a minute. 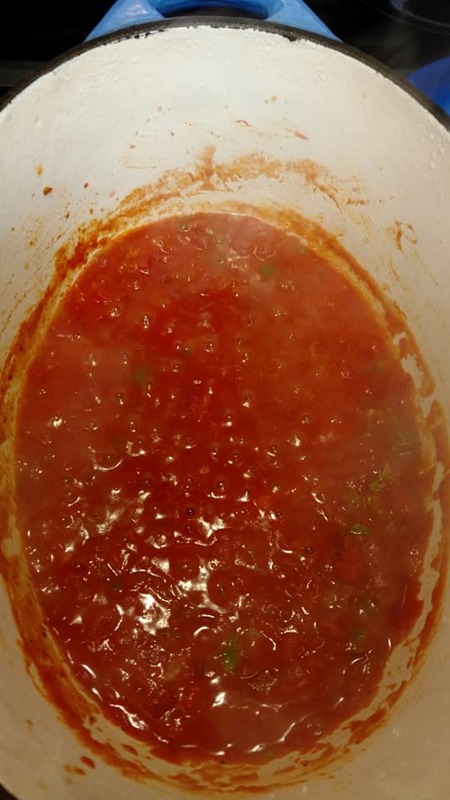 Slowly Stir in a 28 ounce can diced tomatoes. Stir in 1 teaspoon sugar and season to taste. Stir and cook to a boil. Reduce heat and cook covered for 5 minutes. 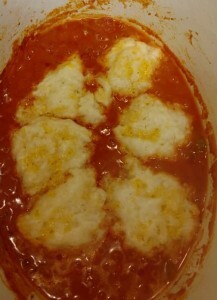 I bowl, stir together 1 cup flour, 2 teaspoons baking powder and 1 teaspoon salt. 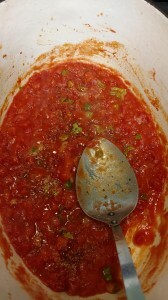 Cut in 2 tablespoons shortening or butter. Stir in half a cup shredded cheddar cheese. Add half a cup of milk and stir just until moistened. Drop by tablespoons on to tomatoes. Cover and cook 20 minutes (don’t peek). Goes well with roast chicken or pork chops.